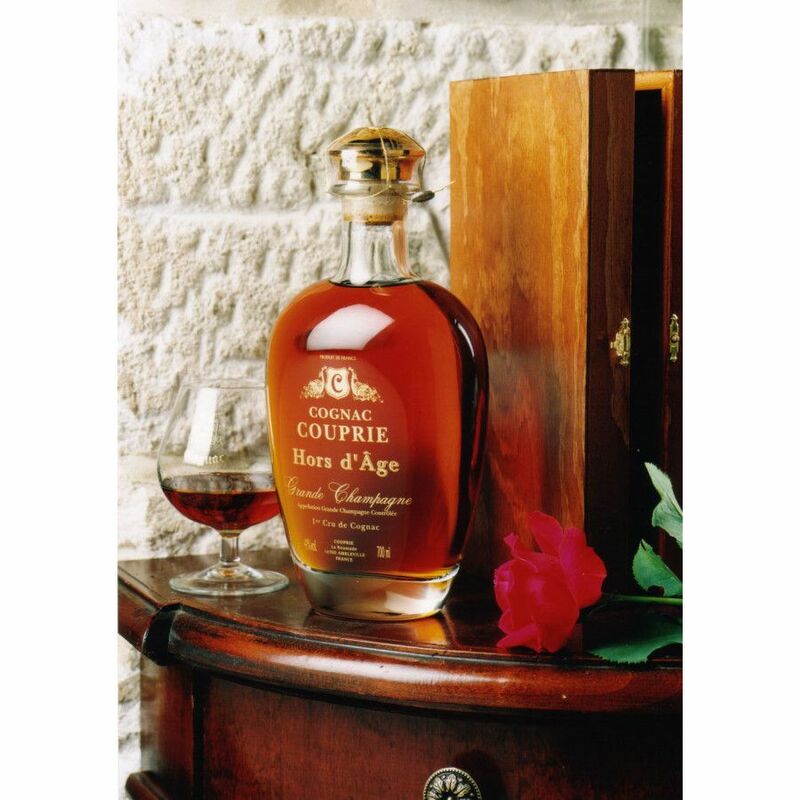 Cognac Couprie Hors D'Age Cognac is a rich, expertly blended cognac that's been distilled in a traditional generations-old 10 hectollitre pot still. It was then aged in Limousin oak barrels in the calm, dark, humid cellars of the house of Couprie. The cognac epitomises the expertise and care lavished upon it by several generations. It reflects the best use of oak to reveal and highlight its beautiful mahogony color and an intense rancio aroma. The Folle Blanche grapes used to create this Hors d'Age are what gives the cognac its unique character. But nonetheless, this is a Grande Champagne, top quality beauty, with the 'leather and cigar box aromas' so typical of fine, old cognac.